Achieve both Muff-style and germanium fuzz tones with the stompbox. 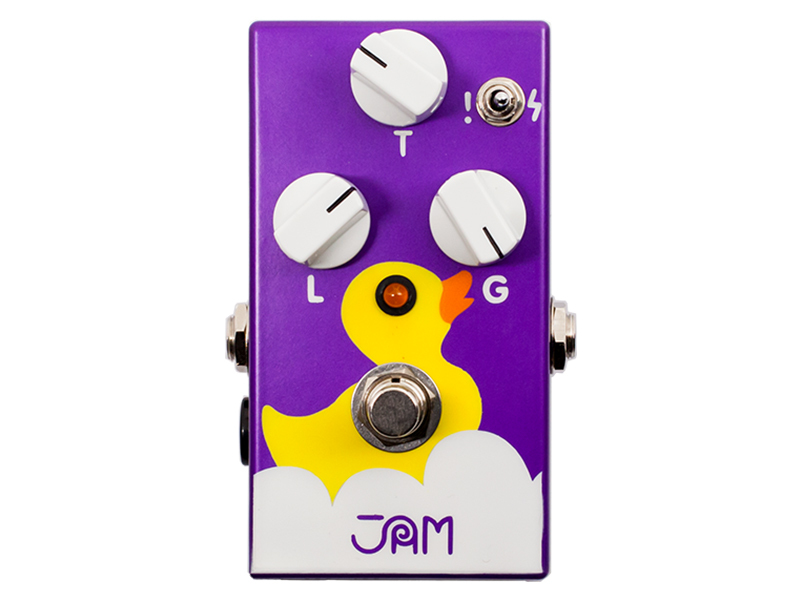 If you love the vintage-y tones of germanium-based fuzzes but also gritty Muff-style distortion, JAM has a stompbox that’s right up your alley. The Eureka! uses silicon transistors in a proprietary architecture to achieve a beefy germanium fuzz and more. Apart from the standard “Level,” “Tone” and “Gain” knobs, there’s a three-way toggle switch that manages bass response. It adds more low-end to the sound and can take you from soaring lead lines to gated fuzz riffs in a flick of a switch—particularly useful for players wanting to switch between their single-coil and humbucker guitars. Handmade in Greece, this pedal is engineered for all types of genres and is meant to “play nice” with other effects without compromising its own sound. If you’re a modern player with a varied style, the Eureka! ought to serve you well. The JAM Eureka! lists for EUR 189. For more info, check out jampedals.com.